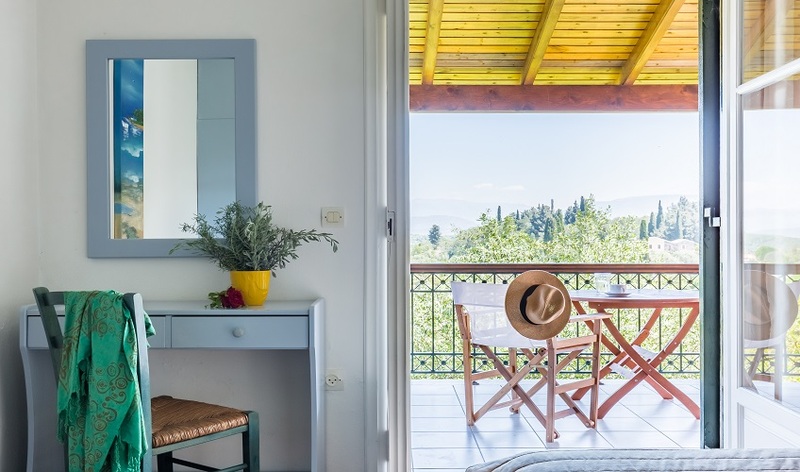 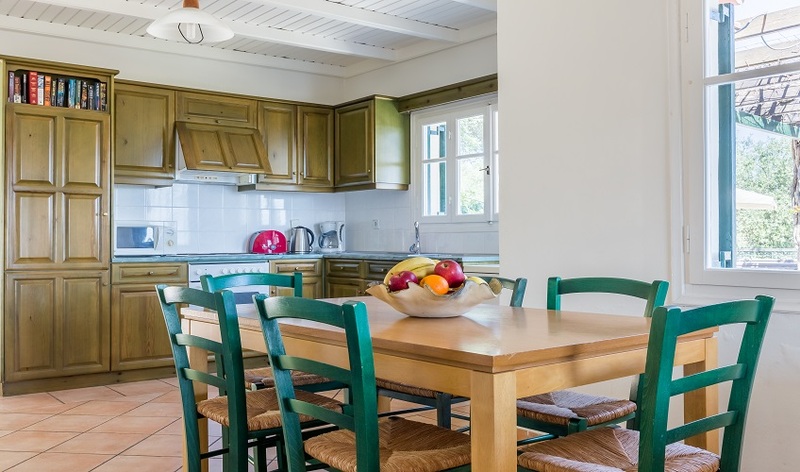 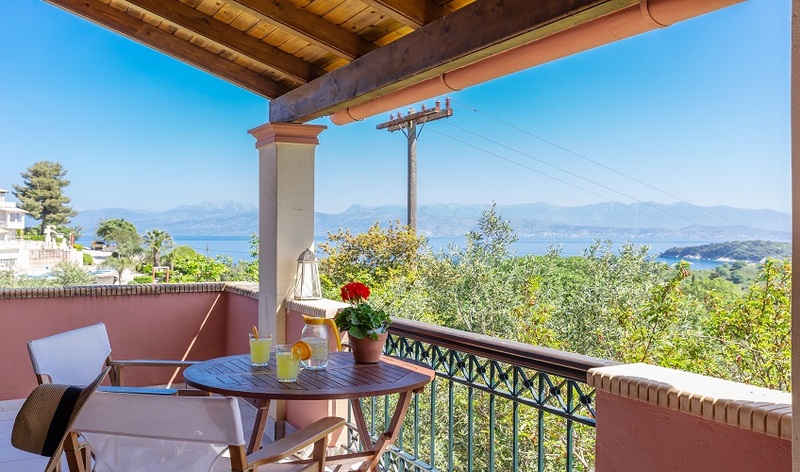 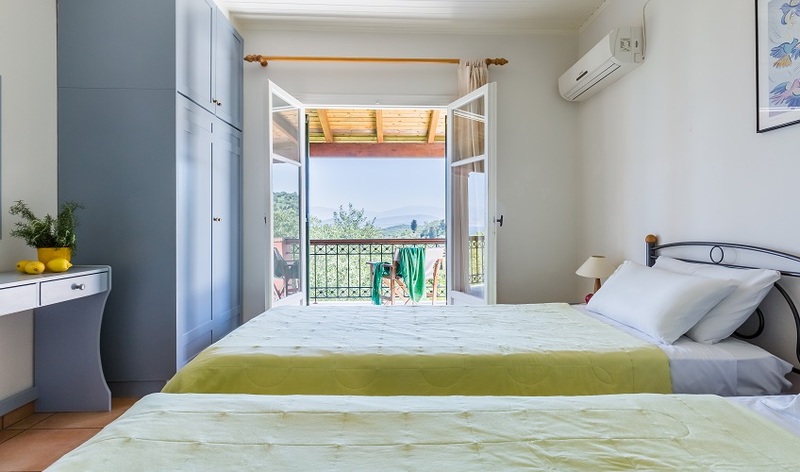 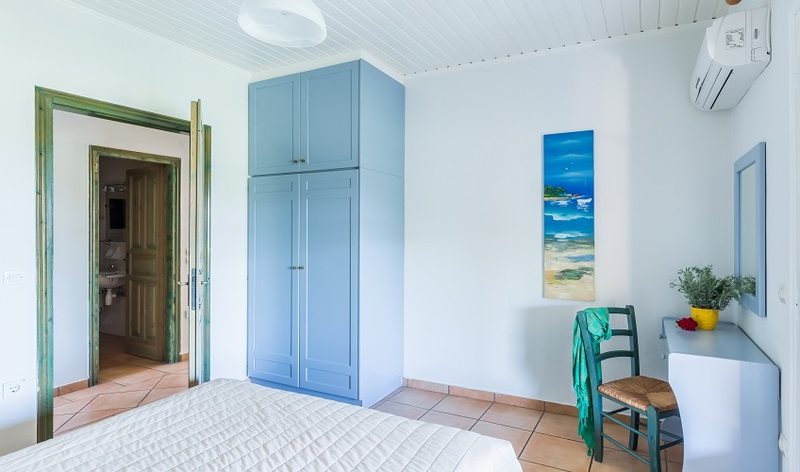 With its beautiful views over the leafy countryside and Bay of Aklavi then out to the Albanian mountains, this traditional Corfiot style house is charming and inviting. 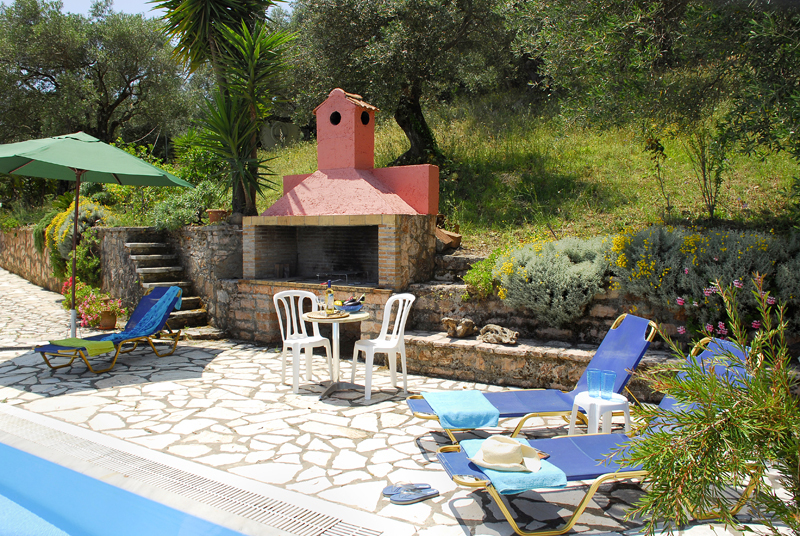 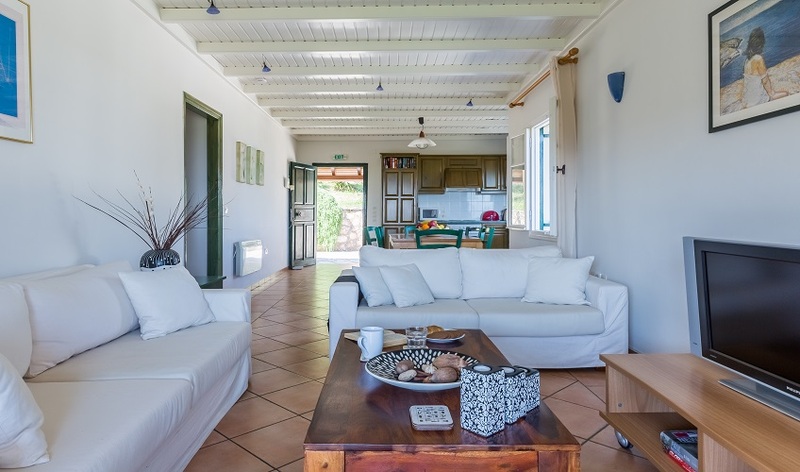 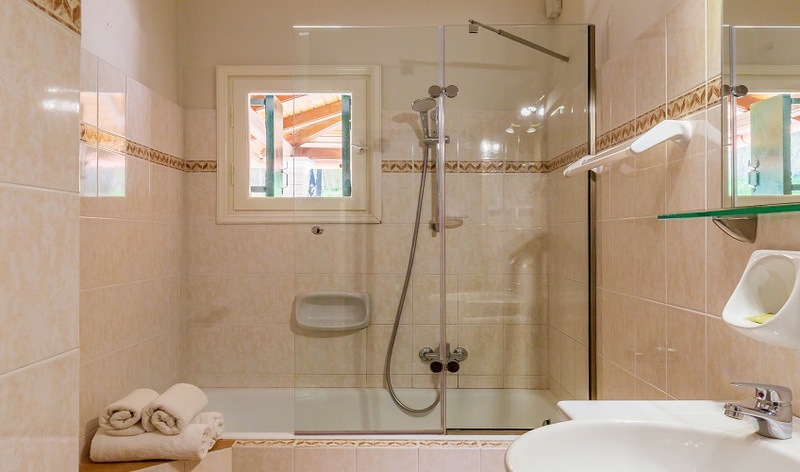 Taking its name from the olive groves surrounding it the Olive Tree House is a perfect country retreat. 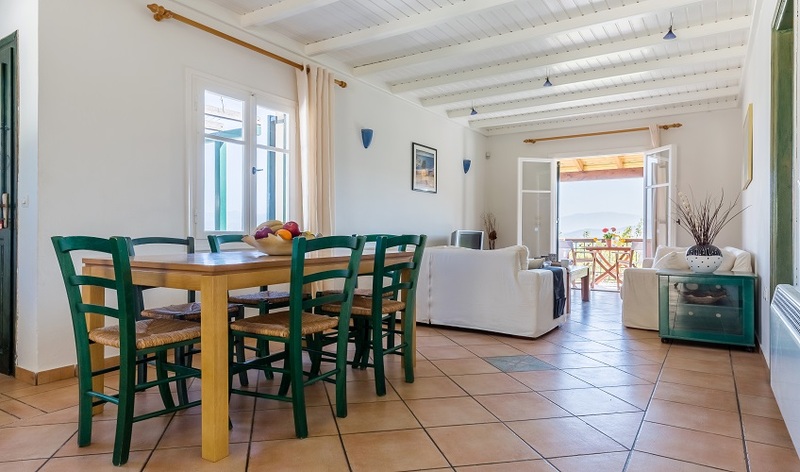 The villa, built on a single level, benefits from an open plan design which gives it a spacious comfortable feel with an abundance of natural light keeping the house lovely and cool during the hot sunny summer days. 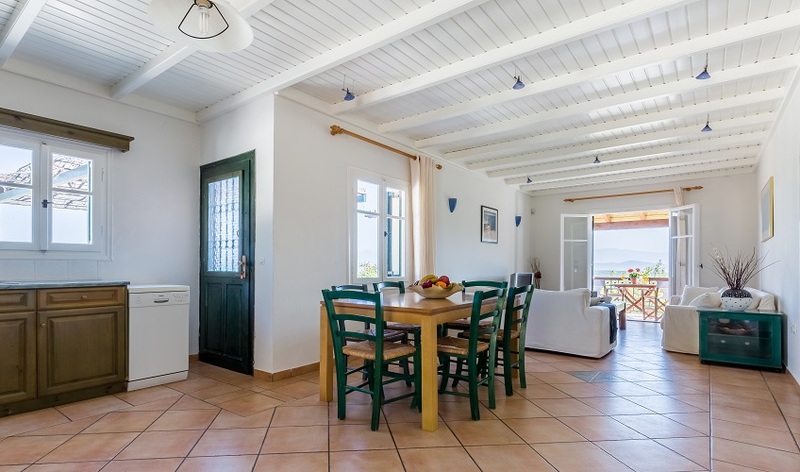 The well-equipped kitchen leads into the dining/living room. 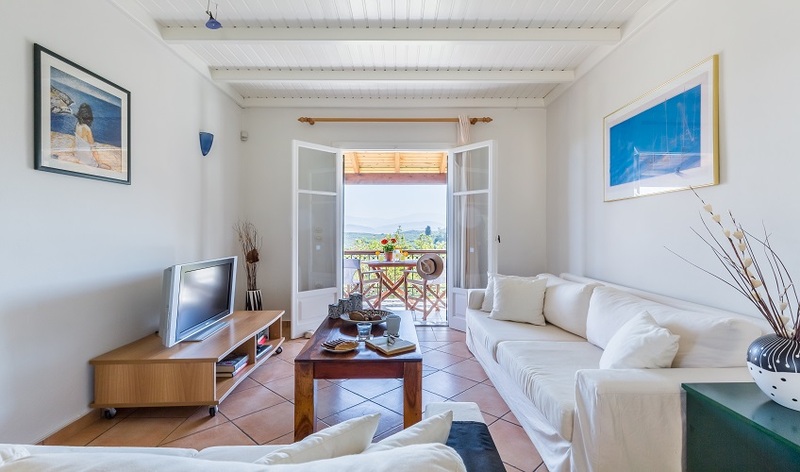 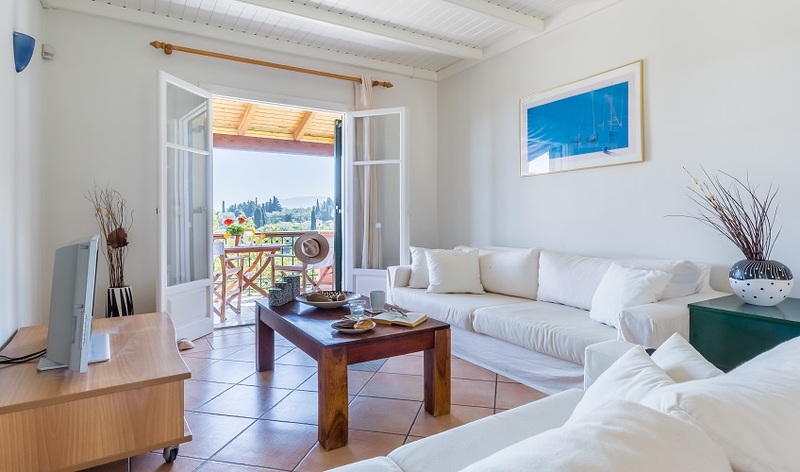 Light streams in through large French doors that open out onto a covered balcony, an excellent place to sit and enjoy the stunning mountain and sea views. 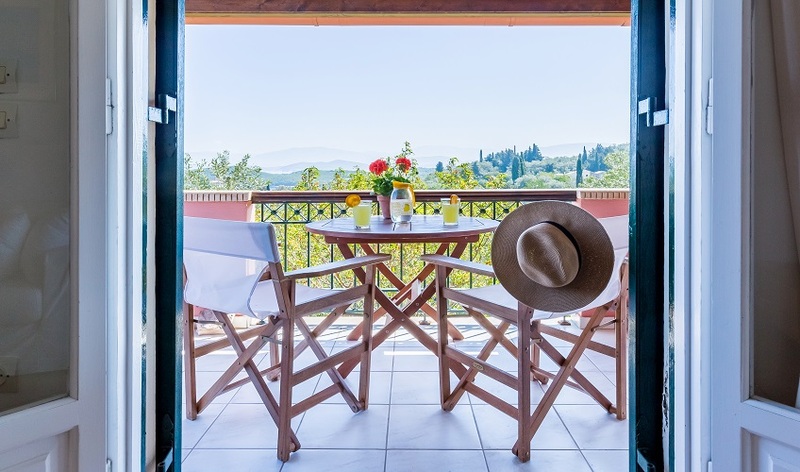 From the balcony you have access to the swimming pool, sun terrace and barbecue with covered dining area as well as a tree shaded seating area. 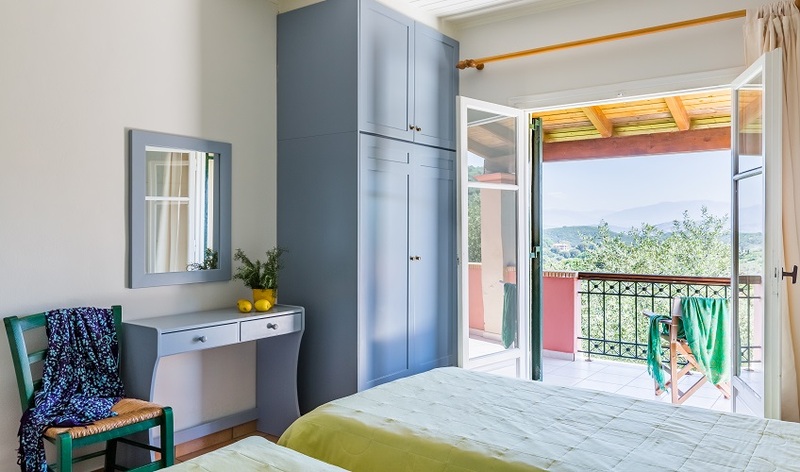 There are three generously proportioned, air-conditioned bedrooms, each enjoying the same superb views. 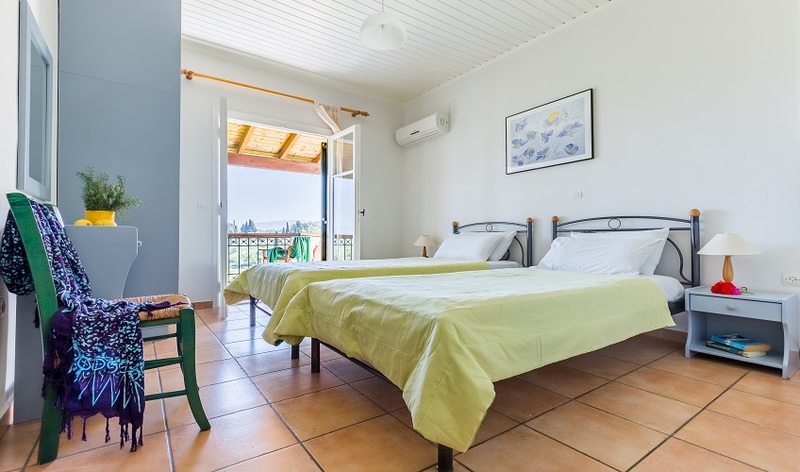 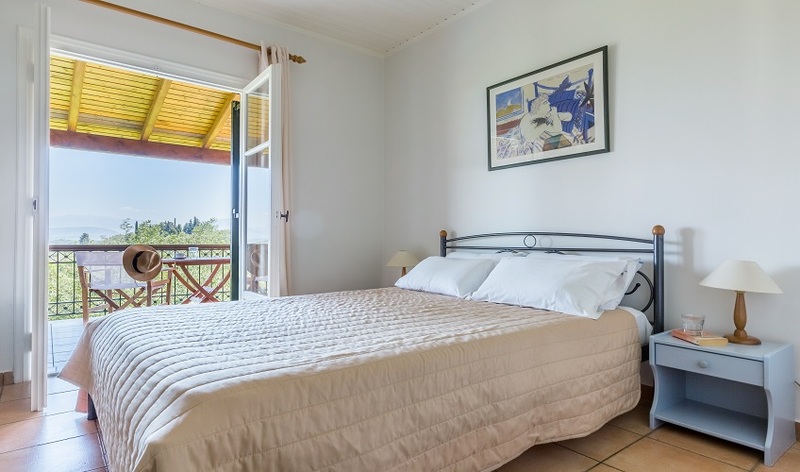 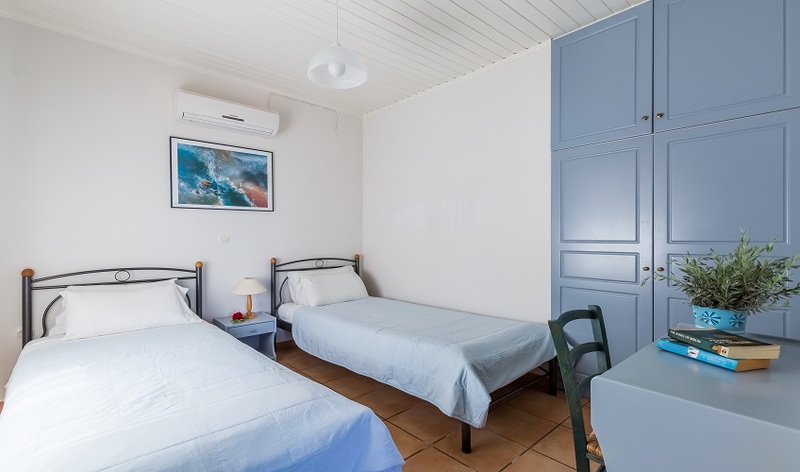 The double bedroom and one of the two twin bedrooms have French doors opening out onto the shaded balcony. 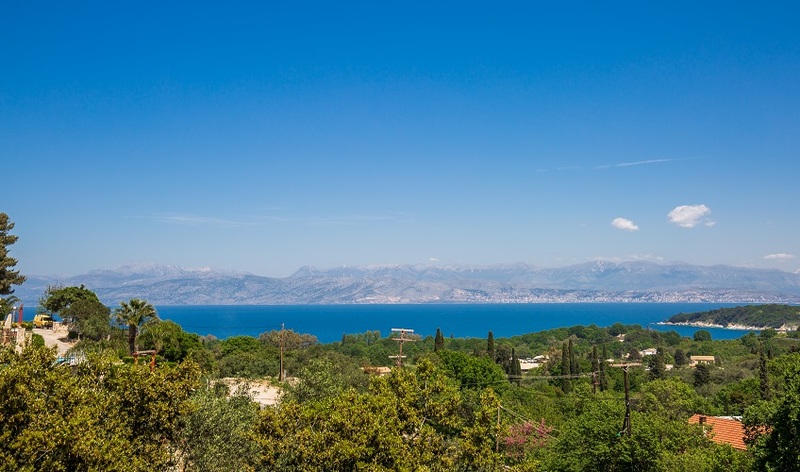 Kassiopi is undoubtedly one of the most popular villages on Corfu and understandably visitors return time and time again. 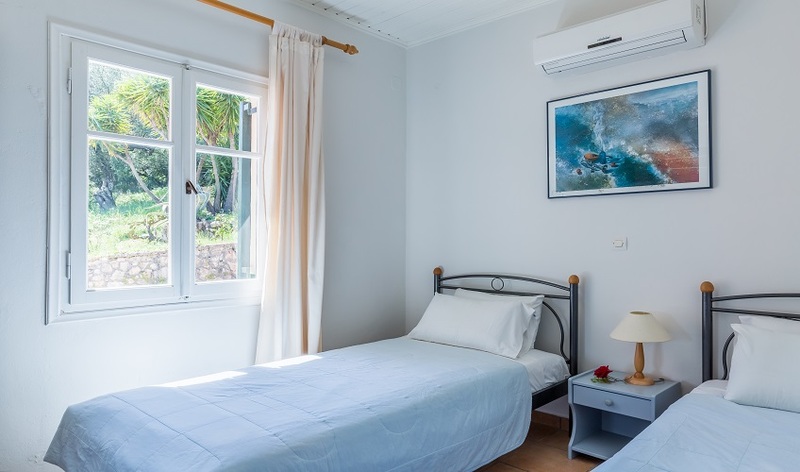 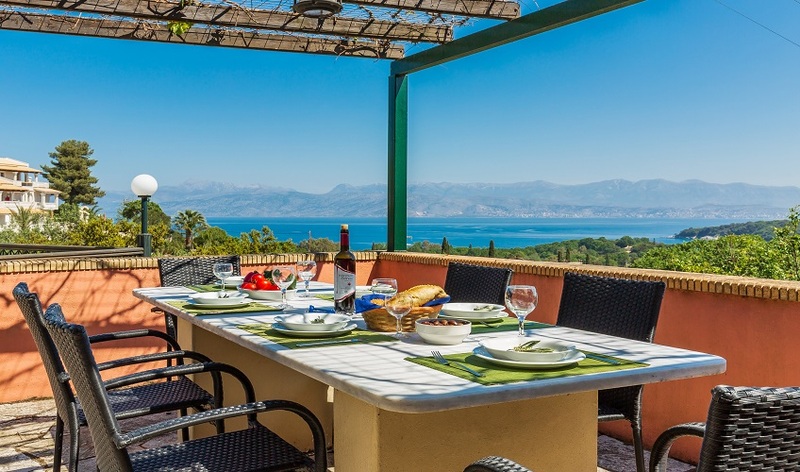 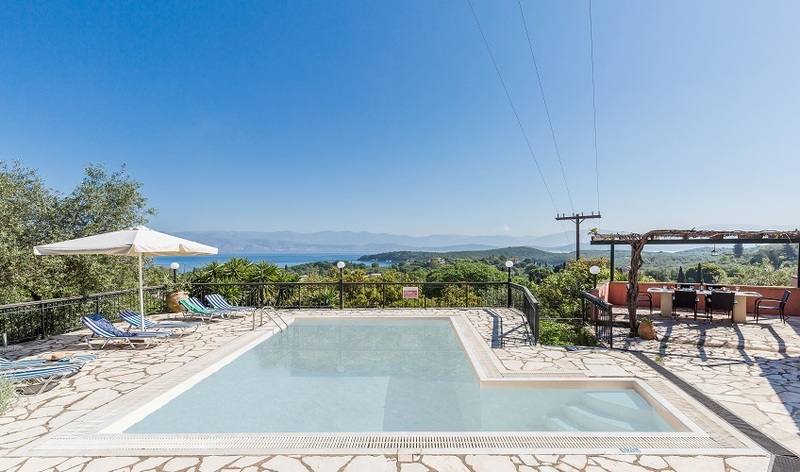 The location of this villa is ideal, being within easy reach of the shops, restaurants and beautiful beaches of Avlaki and Kassiopi. 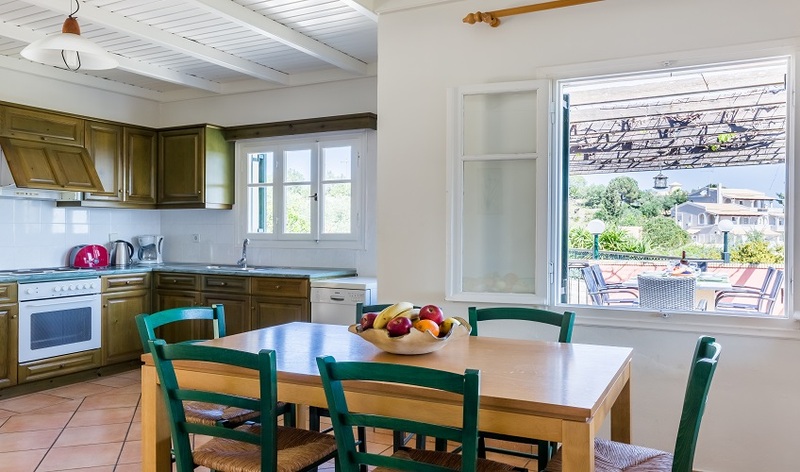 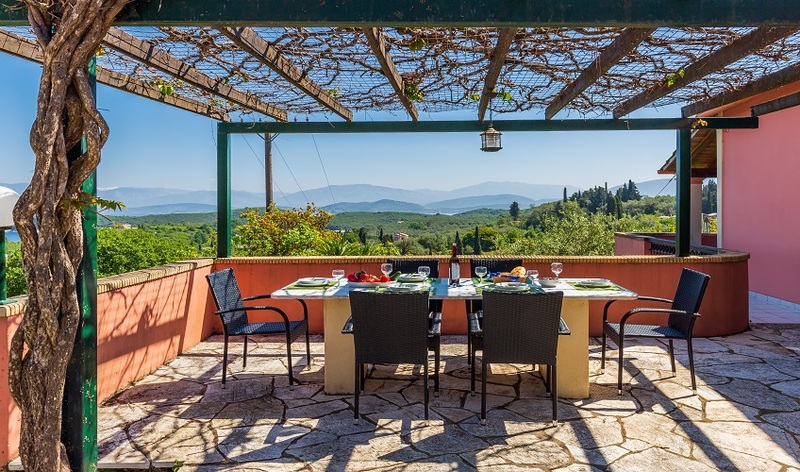 The Olive Tree House is perfectly located for exploring all that this stunning region of Corfu has to offer!